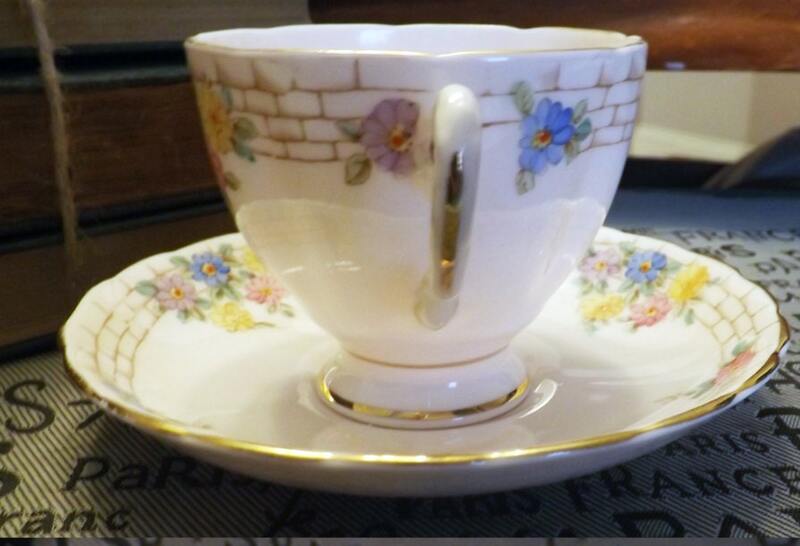 Vintage (late 1930s-1940s) Tuscan China | RH & SL Plant tea set. Pink body, gold scalloped edge and brick wall, multicolor florals. 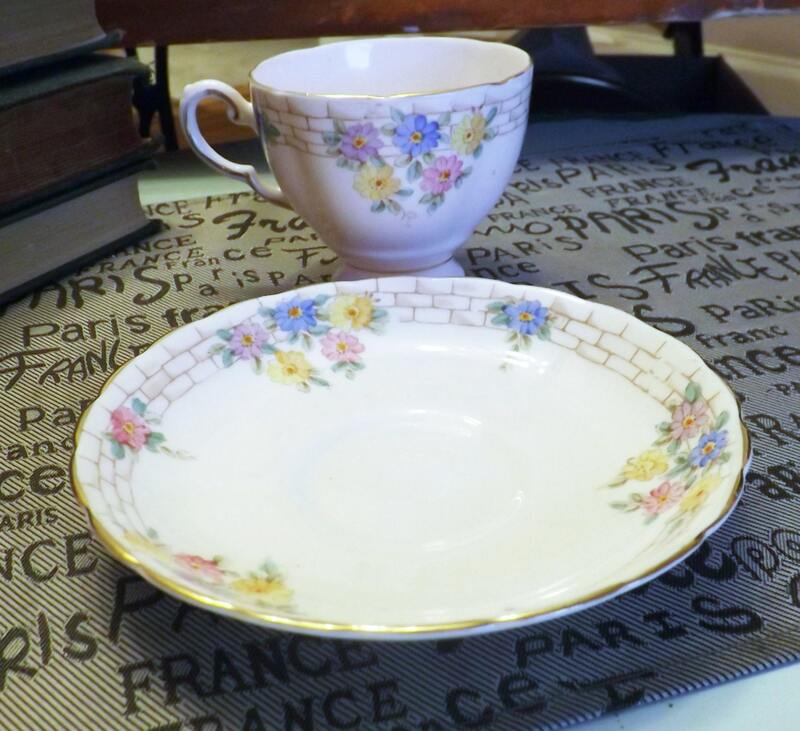 Vintage (late 1930s-1940s) Tuscan China / RH & SL Plant England hand painted tea set. Pink body, gold scalloped edge and brick wall, multicolor florals. 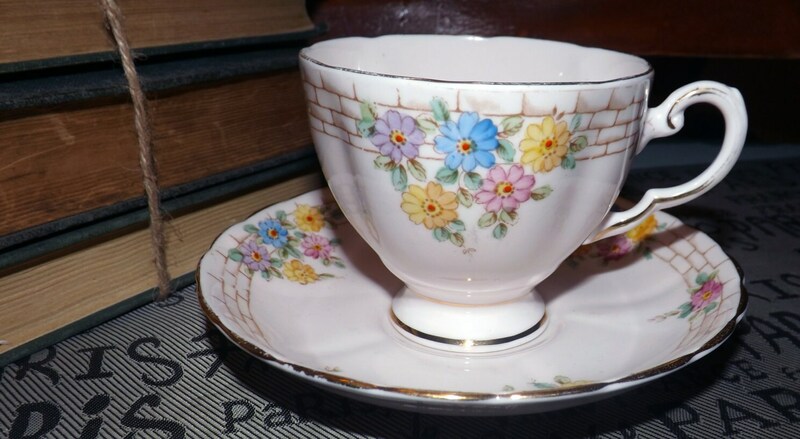 This is a very pretty tea set (footed tea cup with matching, coupe-shape saucer) with a pastel pink ground, gold scalloped edge, dainty shape and gently pearl embossed, multicolor florals and gold lattice. In EXCELLENT! condition, this tea set has NO! chips, cracks, fleabites or crazing, NO! gold loss to the edge or accents and NO! marks, stains, scratches or other signs of use or wear. The multicolor florals are still bright and vibrant. Artist's mark and number 7377 painted to base. Wonderful mom gift! 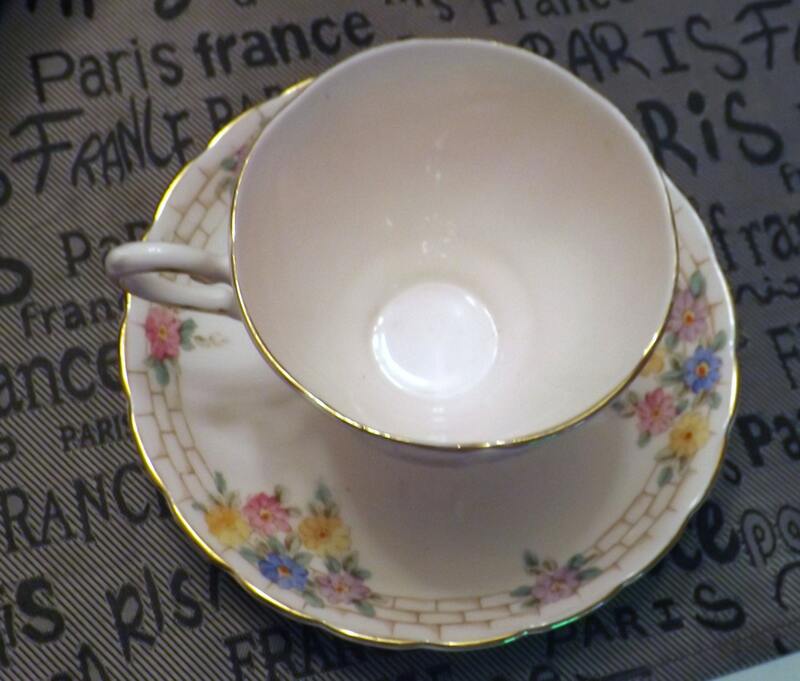 Approximate measurements: footed tea cup stands 3" H with a 3-1/2" diameter cup bowl. 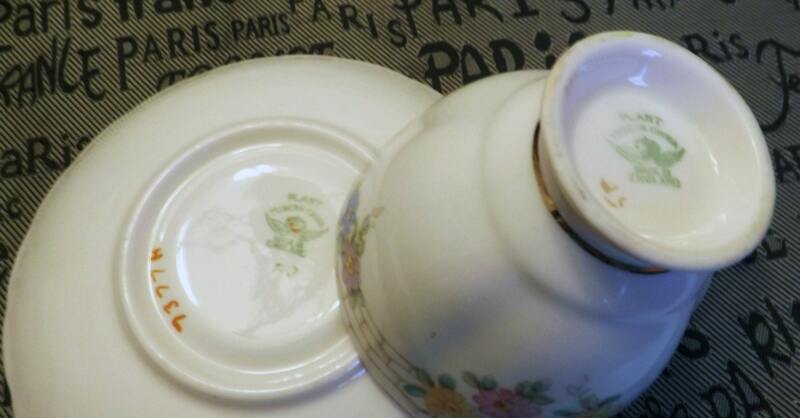 The matching saucer is 6" in diameter with a coupe shape.